There are those of us that favour the analytical side of our brain, and those of us that favour the creative side. I have always favoured the creative side. I began learning the piano at a young age, and have continued my music studies right up to today, across several different instruments. I believe my background in music had a big impact on my decision to study architecture. Over the course of studying both architecture and music, I have come to see distinct similarities between the two, particularly in the way we form initial ideas for projects and how the two appear on the page; the drawings and the score. Daniel Libeskind, who I dare say need no introduction, was a virtuoso accordion player in his youth before becoming an architect. His work is informed by a deep commitment to and knowledge of music. When speaking about his thoughts on relationship between music and architecture, Libeskind said “To play an instrument, to read music, to perform music, requires enormous discipline. 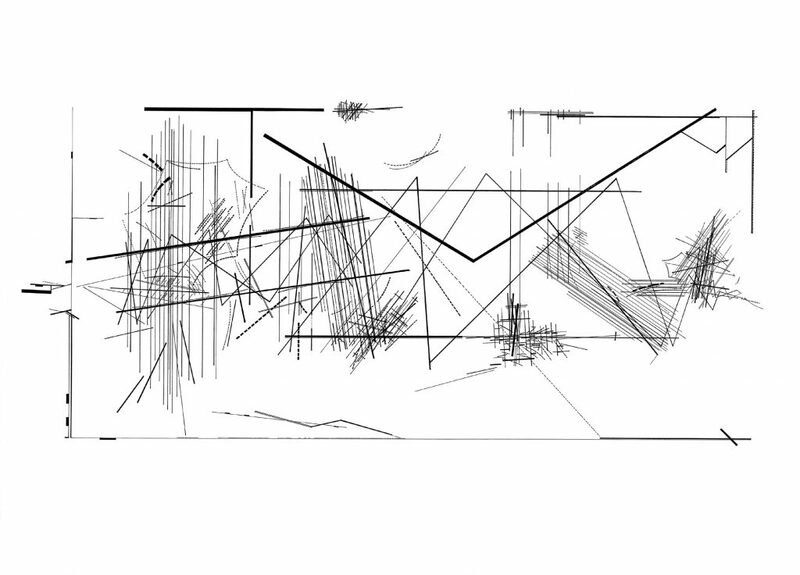 This is one of the connecting links between music and architecture, because both are extremely rigorous engagements. You cannot play music approximately; if you really want to play a melody, you have to hit every note correctly, and every tempo and every harmony has to be there in order to be audible.”  The same can be said for architecture; you cannot design approximately, you have to be precise. In 1983, Libeskind created a series of 28 prints titled ‘Chamber Works’. The prints are designed to be viewed linearly, unfolding just like a musical composition. 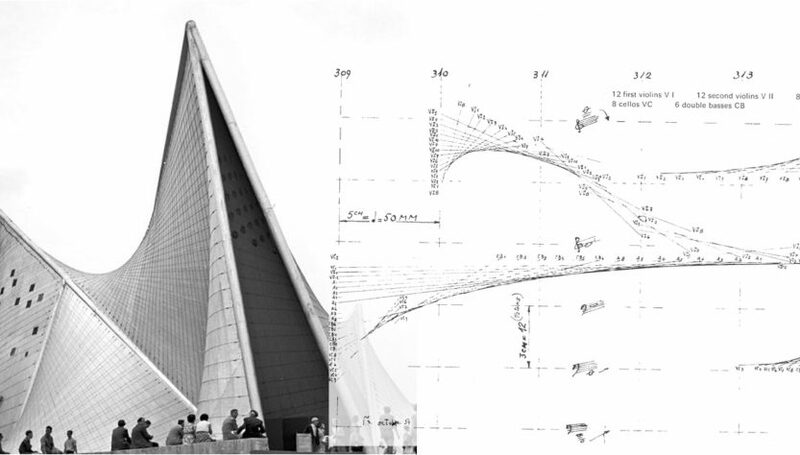 Libeskind called this work “my first rigorous attempts to connect music and architecture…Architecture is based on drawings. A drawing is a score, a code, a language that is communicated to performers who then have leeway to interpret that.”  This work has been compared to the work of post-war avant-garde composer John Cage, who was known for his non-standard compositions. Libeskind, Daniel. “Daniel Libeskind: The Links between Music and Architecture.” The Independent. July 28, 2002. Accessed May 01, 2018. https://www.independent.co.uk/voices/commentators/daniel-libeskind-the-links-between-music-and-architecture-186225.html. Libeskind, Daniel. “Daniel Libeskind Chamber Works: Architectural Meditations on Themes from Heraclitus 1983.” Willem De Kooning. Woman I. 1950–52 | MoMA. Accessed May 04, 2018. https://www.moma.org/collection/works/164668. Shireffs, Michael. “Searching for Harmony in Architecture.” Radio National. September 25, 2013. Accessed April 14, 2018. http://www.abc.net.au/radionational/programs/archived/intothemusic/4969338. 1. Philips Pavilion. In Musicologie. July 2007. Accessed May 4, 2018. https://www.musicologie.org/Biographies/xenakis_iannis.html. 2. Libeskind, Daniel. “Chamber Works.” Digital image. Studio Libeskind. Accessed May 4, 2018. https://libeskind.com/work/chamber-works/. 3. Cage, John. “Concert for Piano and Orchestra. Solo for Piano.” Digital image. Fondazione Bonotto. Accessed May 4, 2018. http://www.fondazionebonotto.org/it/collection/fluxus/cagejohn/482.html. 5. Varèse, Edgard. 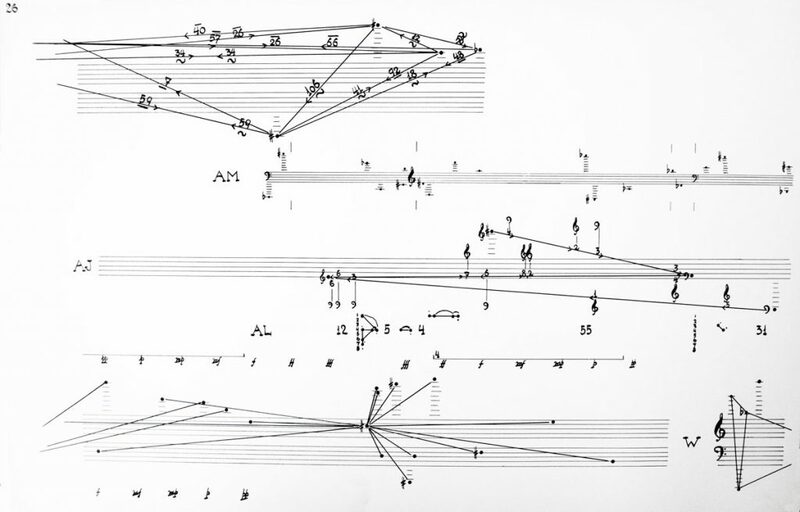 “The Score of Poéme Électronique (1958).” Digital image. Edgard Varèse. Accessed May 4, 2018. http://www.zakros.com/mica/soundart/f02/varese.html. Caitlin is currently a Master of Architecture student at The University of Western Australia. Concept to completion: Is Perth playing copycat to Melbourne’s laneway culture?